Other than the games I beat, I didn’t play any games for all that long this month. I put a little time in on several, but most of my time was spent with the four I finished. I don’t expect next month to be all that different. 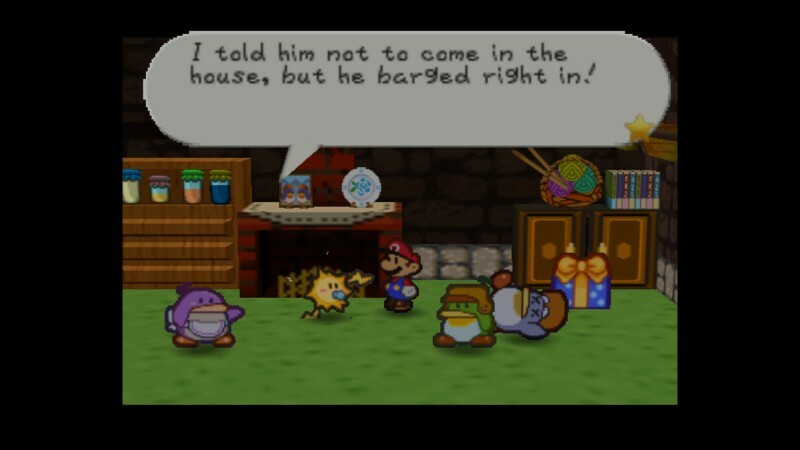 I have a Bioware or two on deck and I want to finish Paper Mario, but I don’t see how I’m going to have time for much else. I did just buy Splatoon, but I doubt I will be buying many more games next month. I might, really should, get back into Monster Hunter 4, but I don’t know if I will. Yoshi’s New Island – see here. Mario & Luigi: Dream Team – see here. Mass Effect 3 – see here. I already owned the original version of this through a Humble Bundle, but it is likely I would never have played it if it hadn’t come to WiiU. Trine 2 was one of the first games I played on the machine and I loved it. This first one is more of the same, but it isn’t quite as good. The sequel takes the same concept but it feels more refined, as a sequel should. 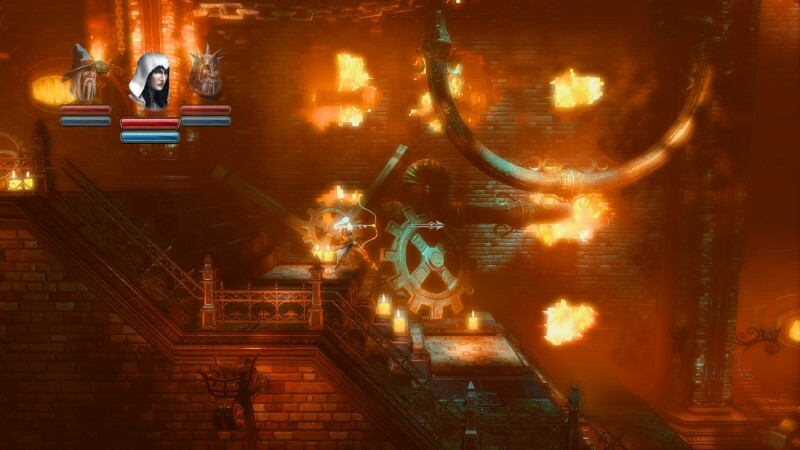 Trine 1 requires less combining of the three heroes’ skills and more sections that any character can get through with just their own skills. The core gameplay is just as fun, but the second game is just a tighter experience. Still, this is a very good game and I am glad to have played it. Star Wars: Knights of the Old Republic – I haven’t made a ton of progress in this, but I did get started. It is very much a Bioware game; it feels like a step between Baldur’s Gate and Mass Effect. The biggest problem with playing it is that it just doesn’t play as smoothly as Baldur’s Gate or Mass Effect. It doesn’t just work as well as BG with a mouse and I can’t play it easily with a controller. Still, I really like it. Wooden Sen’Sey – I’ve only played one stage and it really didn’t grab me. I picked it up on the cheap, so I’m not out much, but it just isn’t grabbing me. It is not a badly made game, but it lacks something compelling to make me want to play it. It isn’t that the game doesn’t work right; the controls and mechanics are fine. It just doesn’t feel fluid, the game has no rhythm; it just sorts of plods along. Maybe, hopefully, it gets better. I will certainly give it more of a chance to prove itself. Fluidity Spin Cycle – The concept of this game is so good, too bad the stages get so ungodly finicky and intricate by midway point, let alone the end. The idea of controlling a puddle of water instead of a solid character is great; trying to jumping platforming with that puddle is less great. The difficulty is not so much from figuring out what to do or how to do it, but in wrangling the puddle into doing it. It becomes more frustrating than enjoyable. So while I put this in ongoing, I am likely done with it, having beaten about two thirds of the characters. I didn’t make the progress I wanted to in this. In fact, I made it exactly as far as I did when I first tried to play it years ago: just past the first chapter. It still really like it and this time I plan on sticking with it. I just didn’t end up with the WiiU time I was expecting, and much of what I had was spent with Trine. It isn’t as ungodly frustrating with pointless jabbering; it actually hits much closer to the mark of enjoyable banter. Having played later Mario RPGs, it feels a little basic, but I know it gets more complex as it goes. This is a game I am crossing off my backlog this year, no question. Etrian Mystery Dungeon – My progress on this has stalled. I like it, but I am having trouble mustering up the enthusiasm to turn it on. I hope to get it finished next month. Persona 2 Eternal Punishment – I have been making really slow progress through this. The game is good, but there are some barriers between playing and enjoying it. I am enjoying it. Splatoon – I’ve got it coming in the mail. I was on the fence, but reviews comparing the single player game to Mario Galaxy, in tone if not in consistent quality, pushed me over. Jade Empire – When I’m done with KotOR, this is the Bioware game I have up next. Yakuza 4 – Either this or Ratchet and Clank Into the Nexus is what I’m playing next on my PS3. Both have been near the top of my playlist for months, but I keep pushing them back. Inazuma Eleven – I downloaded this a long time ago, but I kind of got distracted. I plan on getting back to it.